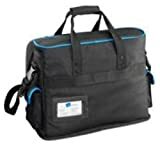 If you are a mechanic, computer or TV technician, or anything like that, you know how valuable good tool bags are. They carry your stuff, keep it safe, and you always have your tools when you need them. Today we are going to find out what is the best tool bag for mechanics. 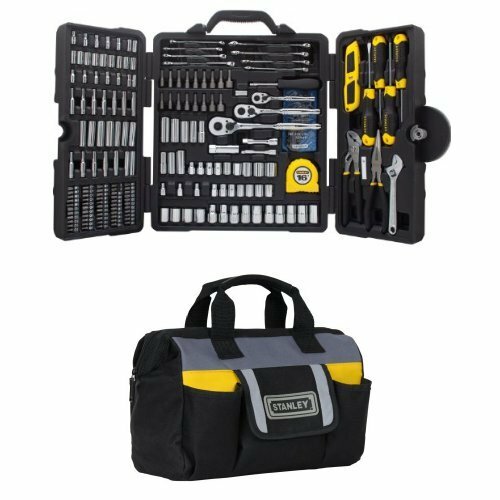 This is a great high-quality tool bag and tool case option to consider, one that actually comes with a full 210 piece set of tools, which is pretty cool if you ask us! Fabric tool bag ideal for small and medium tools and comes with a plastic tool case with a complete 210 piece tool set. The STANLEY Mixed Tool Set is a really neat 2-in-1 option to go with. First of all, you get the Stanley STST70574 12-Inch Soft Sided Tool Bag, a great option for all of your small and medium tools. It features an adjustable strap which makes it fairly easy to carry. Even when full it is not too big, so weight is not much of a concern here. The handles are padded with cotton for some extra comfort. The bag itself is made of fairly soft fabric, but it is also quite durable. To keep this tool bag upright and stable it features a rubber foam bottom, which also helps to keep it open. The bag itself has one large zippered compartment that is ideal for many small- and medium-sized tools. 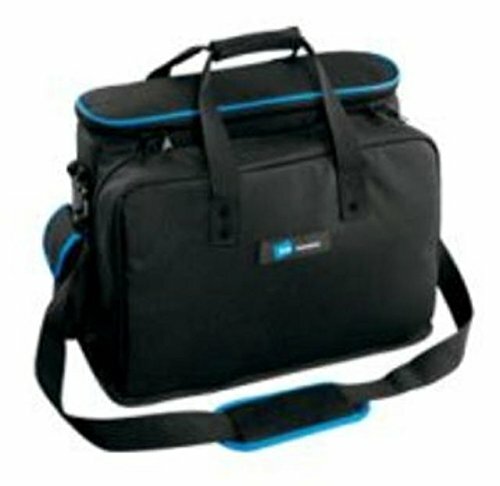 Also, the Stanley STST70574 12-Inch Soft Sided Tool Bag has several Velcro closure inner pockets and 6 outer pockets for various small tools and accessories. All in all, the bag itself is not that fancy, but it does the trick just fine. The real score here is the STANLEY STMT73795 Mixed Tool Set, 210-Piece. The case is a hard plastic case with secure shut latches and a carrying handle. Included in this set are 4 cushion screwdrivers, groove joint pliers, long nose pliers, a utility knife, a tape rule, an adjustable wrench, 10 x Drive SAE socket, 13 x Drive MM Socket, 10 x Deep Socket SAW, 10 x Deep Socket MM, 1 extension bar, and a whole lot of other socket wrench parts and accessories too. This high quality tool set comes complete with an equally high quality tool bag, ideal for mechanics and other laborers too. 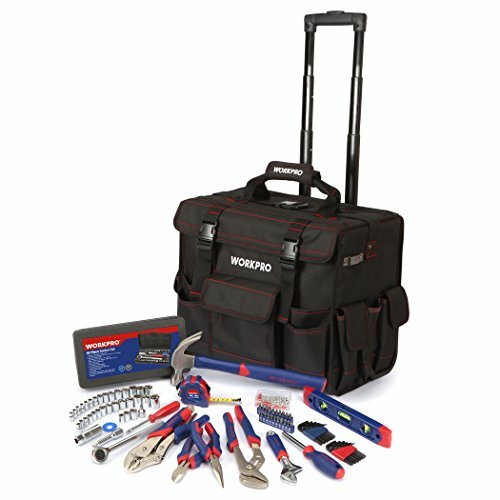 First off, the best part about the WORKPRO 176 Pieces Tool Set with Trolley Bag is what is included in the bag itself. You get a whole lot of tools here, all of which will make your life as a mechanic or repairman much easier. All of the included tools are made of chrome vanadium steel materials, or in other words, they are about as durable and high quality as can possibly be. They also feature a polish chrome finish for anti-corrosion protection. Included in the bag are 2 sets of pliers, a claw hammer, an adjustable wrench, a tape measure, a magnetic screwdriver with bits, a spirit level, locking pliers, a socket set, and more. No, it might not include all of the tools you will ever need, but it is definitely a good start. We do like the tool bag itself too. The bag features a variety of pockets, including a large inner pocket, several smaller inner pockets, and several smaller pockets around the exterior perimeter of the bag. It can even fit some larger power tools in the middle depending on the other tools you want to put in it. The bag itself is made of very durable fabrics and includes a slightly reinforced frame so it does not collapse in on itself. The large pocket features a Velcro and zipper closure combined with safety clips to make sure that everything stays where it is supposed to be. The bag also has wheels combined with a telescopic handle for easy transportation. Unlike the other options we have looked at here, the B&W International Tool Bag is just that, a tool bag, one that does not include any tools. 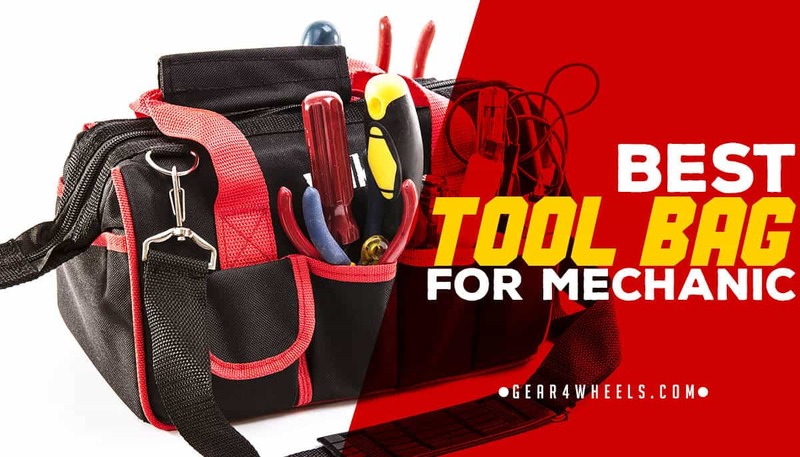 It is actually a very useful and high quality tool bag for mechanics, but the tools will have to be purchased separately. Like we said before, unlike the other two tool bags we already reviewed, the B&W International Tool Bag does not come with any included tools. However, that being said, the B&W International Tool Bag is a really nice tool bag in its own right. You will just have to purchase the tools to put inside of it. The B&W International Tool Bag is made with very tough denier nylon. Seriously, ripping or tearing this bag is nearly impossible, which is true even when it is full to the brim with heavy tools. It really does not get any more durable than this. There is no denying that the B&W International Tool Bag is not made for large tools like power drills and that kind of things. 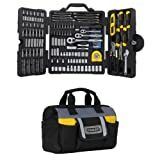 However, the B&W International Tool Bag does excel at storing many smaller tools like pliers, wrenches, hammers, and the like. This tool bag is meant more for mechanics and servicemen. This is especially true because it has a padded laptop pocket to keep your computer safe and sound. Many jobs nowadays require laptops, especially if you are a phone, internet, or TV customer service agent that does house calls. If you need a good tool bag for small tools, papers, and your laptop, the B&W International Tool Bag is definitely a good choice. It even comes with a padded shoulder strap for easy carrying, plus it has a lockable zipper. It’s a convenient and lightweight bag that keeps your tools and electronics safe and sound. At the end of the day, we would recommend the STANLEY Mixed Tool Set. It comes with a nice tool bag and lots of tools too. 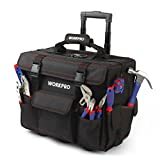 We would say that it is the best tool bag for mechanics, with the WORKPRO 176 Pieces Tool Set with Trolley Bag being a close runner up. Overview of the best tool bags for mechanics to buy in 2018 with complete comparison and reviews.